I’m sitting in the airport in grand cayman and decided maybe I’ll use the 3 hours I have to write a blog post. I’ll definitely be writing about this trip soon, it’s been a blast! Instead of making you jealous of that, let’s talk what’s next running wise. Since my race at the end of March, I’ve been keeping up with running but not burning myself out. 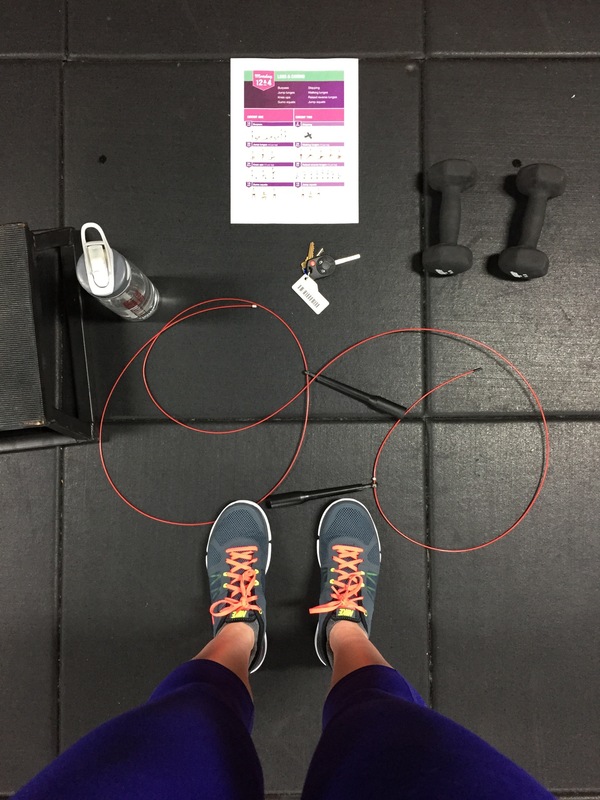 I started doing a strength training workout called Bikini Body Guide (BBG) by Kayla Itsines. While I don’t love the name, the workouts are tough!! Lots of jumping/plyometric moves that are killer. My lingering hip pain started flaring up so I’ve been modifying certain exercises that bother it. I’ve been running 3 days a week and slowly upping my mileage to get into the 20s. This week I’m up to running 4 times and will hit 20 miles if all goes according to plan on Sunday. I think I’ll be ending the Kayla Itsines workouts or using just certain ones since I start back with my personal trainer on Tuesday. I do think they are effective, it’s just hard to manage with upping my mileage. So what’s next for me? I’ve done something a little crazy and have signed up for a big race in October and April (2016). And to make it even crazier, both races are marathons. In October I’ll be running the Marine Corps Marathon with the Runner’s World Challenge. I couldn’t handle another lottery so I bought the VIP package and I’m very excited! My internet turned real life friend, Melissa, is also running it and we’ll be rooming together and hanging out that weekend. I know there will be a few hills and I’ll have to have a 40 min PR to beat the bridge as they call it, so it’s a good thing I’ve become a much stronger runner in the last year. Training starts June 1, which coincidentally is exactly a year from when I ran my first marathon, and I’ll be working with Jesica again. Sadly though, she no longer will be living in Atlanta so we won’t get to see each other as much. She’s recommended I get my mileage into the mid 20s this month so I’m ready for what’s to come (I hear mid 40s mileage is headed my way). After I conquer that race, I’ll be heading to Europe for the first time (unless a work trip pops up) to run the Paris Marathon next year! I’m hoping Alicia and KT will be coming along. Alicia will just be there for Paris and KT and I will add on a couple cities around Europe after the race. I’m pretty excited to get these races on the calendar and to see how I can improve my marathon time. I’m sure there will be a few half marathons on the schedule as well. I’m also running the Peachtree Road Race (10k) again on the Fourth of July. Marathon training was definitely a time of growth for me. I spent a lot of hours alone getting my runs in which leads to a lot of introspection and also time to figure out random things. 1. You potentially will rip holes in your shorts. I wish this was a joke but it’s not! I only had 3 pairs of shorts that I really liked during that time and they were discontinued. 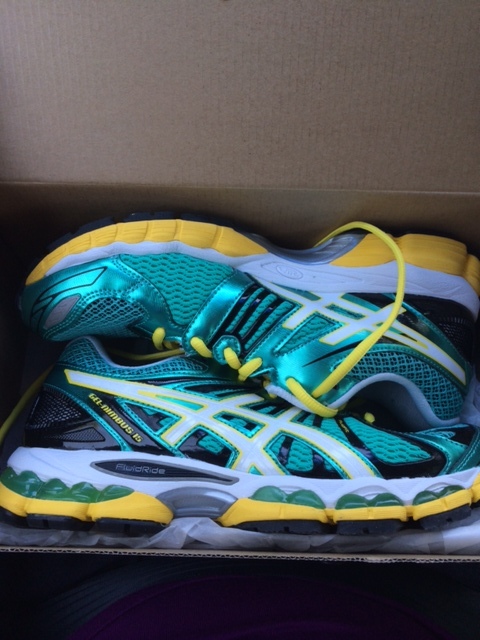 This led to me running in them all the time… Which led to multiple holes in each pair. The night before the marathon I went back and forth with Katie about which pair would not rip any further for 26.2 miles. I picked right! And carried a sample size of body glide in my pocket. I’ve now found a couple different shorts that work for me up to 6 miles so let’s hope they can make it 13.1! 2. The brand of body glide you use does matter! I was using the body glide brand since I started running but still always had a little chafing. Then one of my running friends mentioned Run Guard and how it had worked better for her. I switched to that and it’s very rare that I have any chafing! 3. Finding the right running shoe is hard! I envy those of you that can wear a bunch of different shoes and not have any problems. I am not one of those people! It took 4 shoes and orthotics to get there but now I’m in a shoe that seems to be working for me. My calves are also tight so that makes shoes even tougher. I can’t handle much of a drop at all. Shoe #4 = My new favorite! 4. Being alone for all those hours can make you a little crazy. My longest long run took 5:45 to finish! Let me know the next time you have to run for that amount of time and see how sane you are. I wish I would have gotten into audiotapes or something to get me occupied mentally. Music just wasn’t enough. 5. I needed someone to hold me accountable. I struggled the last year with keeping up with runs, I just slacked and had no plans. Having a running coach really helped keep me in line. I knew she wouldn’t take my excuses of not wanting to get out of bed. 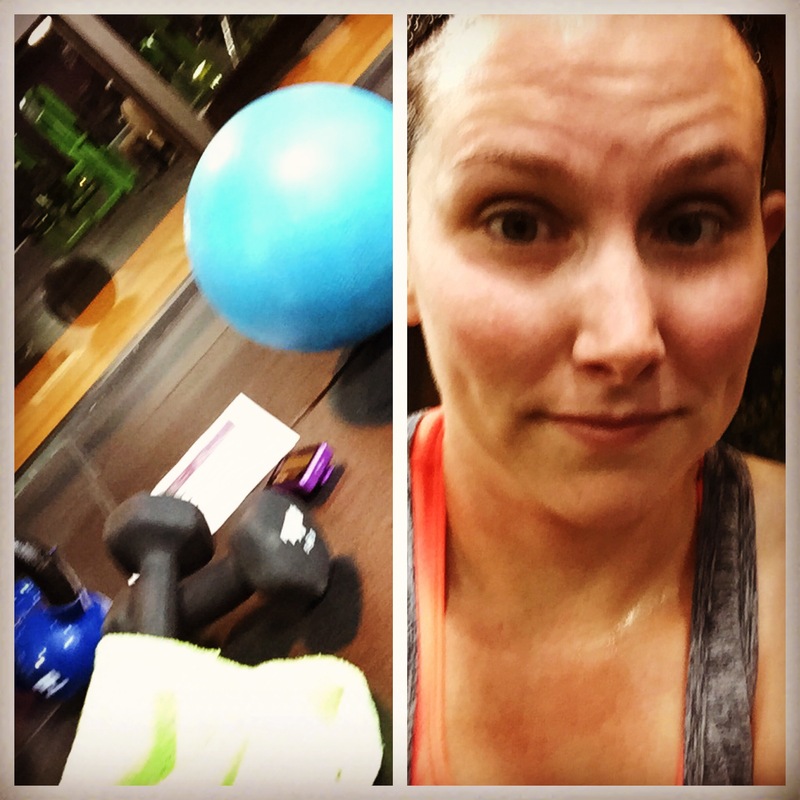 It really helped me to get all the workouts in (minus the ones I missed while injured) and it got me to do a little cross training. 6. 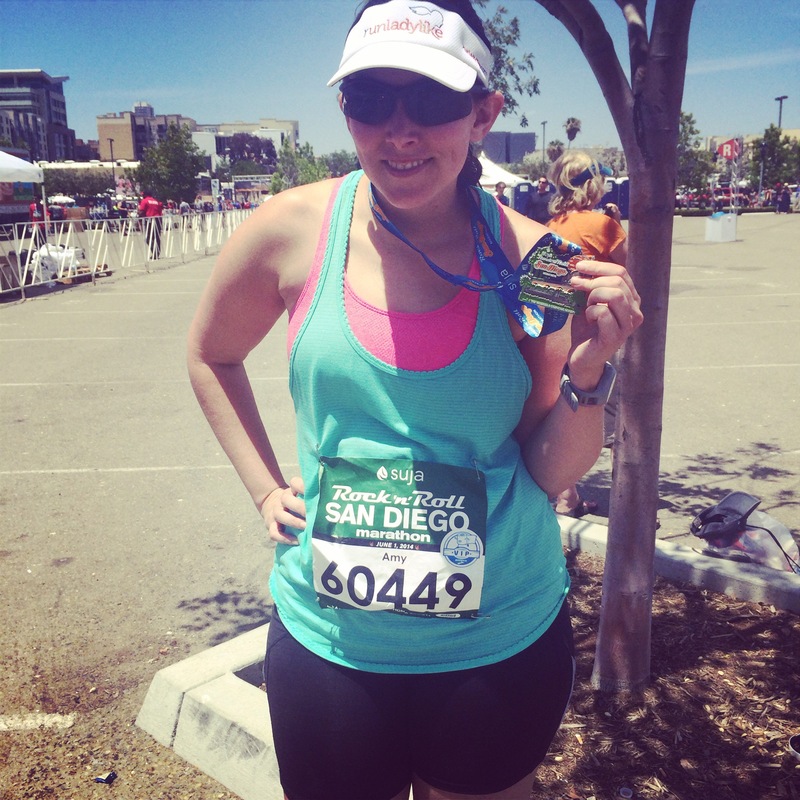 Not running my best race for the marathon made me want to try again… Just not right away. I really think I have a faster marathon in me so with a stronger base built up before training begins I think I can do a lot better. So expect to see me either at the London marathon next year or a local race (with not as many hills) next spring all depending on lottery for the London marathon (my company also sponsors this marathon so I might be able to finagle a bib this way). 7. There are gels out there that won’t make you burp… so this is a weird one but true. Same running friend as the run guard mentioned Huma gels since she was doing no processed foods for Lent. They’re chia seed based and taste really great! I love the mango and strawberry flavors and used those for the race. They gave me energy when I needed it the most and kept me from getting sick or having any stomach problems. I recently tried the blueberry flavor at the Peachtree Road Race expo and liked that so I will add that into the rotation. 8. You will not lose weight while marathon training… unless you’re some ridiculously disciplined person. Which let’s be real, I am not! I didn’t gain any weight, I maintained, but I was hungry ALL THE TIME! And when you’re always hungry it’s hard to make good decisions… pass the French fries and cookies please. I also couldn’t handle the focus on running with the focus on eating right, my brain couldn’t process doing both at the same time. Now I’m working on the eating better part. 9. You become superstitious about what you eat, outfits, pretty much anything you deem can effect your running performance. I ate the same thing for every long run (both night before and morning of) and was afraid to buy a different brand because I didn’t want to get sick. But this one was so bland and boring, finally I switched and I didn’t get sick so I rolled with this other brand that actually had flavor! And then I only ate that and even cooked it my hotel room the night before the marathon. I also had favorite pieces of running clothes and for race day picked the outfit I had the best long run in. 10. Everything starts to revolve around running, if it didn’t already. Happy hour after work, sorry I have to go run. Chance to go on a trip? Only if there’s a place for you to get your miles in (I ran 14 miles in Aruba, 5 outside in the heat, 9 on a treadmill, not so fun). Want to go to dinner on a Friday night? Nope sorry I have to eat my special superstitious meal for my Saturday morning long run. 11. You will embrace running in the rain! Unless you live in Vegas where it never rains, you will deal with rain on multiple occasions and have no choice but to run through it. My 18 miler had a 3 mile stretch of running in rain and was probably the fastest and most enjoyable part of that run. 12. You will have a mental break, maybe just one or maybe more. My 18 miler had a lot of tears and a pretty big breakdown around the 12 mile mark. You have to learn how to handle the mental battle. To me that’s the hardest part of a marathon. I struggled with this the most and know I need to work on this for the future. 13. During marathon training is not the best time to get a dog. I got my pup, Matty, the week before marathon training started. I absolutely love him but he completely changed my life and my schedule. I have to either run before work (which he hates) or go after I come home from work and walked him (which he hates). Matty wouldn’t eat if I went in the morning and he would sulk if I went in the evening. This caused a lot of dog mom guilt, which isn’t conducive to getting in all your workouts. He’s slowly getting more adjusted to my workouts and I bribe him with bones and various treats. 14. Marathon training is not the best time to switch jobs. I was interviewing for a promotion on a different team at my company during peak marathon training. I ended up getting the promotion (yayyyy) but the transition to the new job was the week after the marathon and I had a lot of stuff to wrap up in my previous role before I could transition. This led to a lot of stress that I wouldn’t recommend right around your race. 15. Life doesn’t stop when you’re marathon training. As much as you wish you could pause other things so you can focus on your training, stuff still happens. My dad was diagnosed with a pituitary tumor during peak training (and while interviewing for my new position) and not knowing what that meant or what the treatment would be was hard. The thought of losing my dad was really difficult. Thankfully the tumor was benign and the surgery went well and he is almost fully recovered. I learned a lot from round 1 of the marathon… Enough to make me want a round 2 sometime next spring. Right now I’m focusing on half marathon #6 and hoping to PR. I’m working with Jesica again and I’m really excited to see what happens with the amount of mileage I’ll be putting in along with the strength training I’ve added. I’ll be working with a personal trainer once a week and taking a Barre3 class each week. I’ll also be dabbling in a little bit of hot yoga too. If you remember a couple years back when Tina was my personal trainer, she’s now a yoga instructor, and I hope to take a few classes with her to help stretch everything out. I feel good so far and I’m already down a few pounds so hopefully the downward trend continues as the mileage goes up.